David Bernhardt, a former energy lobbyist, would oversee the Trump administration's push to open more areas to energy development, including in the U.S. Arctic. 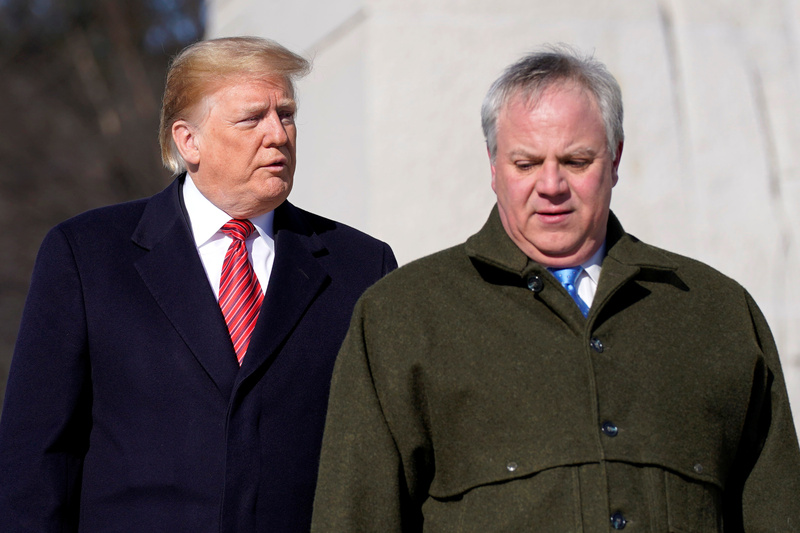 WASHINGTON — President Donald Trump said on Monday he would nominate David Bernhardt, a former energy lobbyist, to be secretary of the interior, the department that oversees U.S. public lands. After working under Bush, Bernhardt became a lawyer and lobbyist at Brownstein Hyatt Farber Schreck for water and oil interests. He represented Noble Energy Inc, Rosemont Copper Co, Sempra Energy, and California’s Westlands Water District, among others. Additional reporting by Valerie Volcovici.